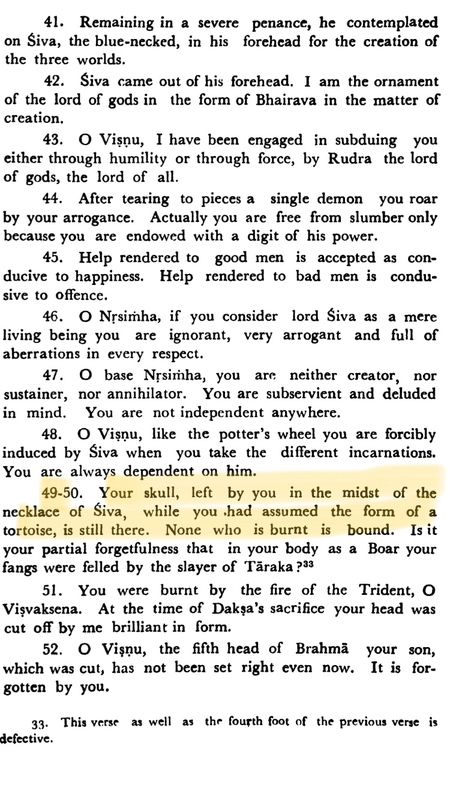 Virabhadra while trying to subdue Narasimha mentions about some form of Vishnu leaving his skull in Siva’s necklace during Kurma avatar. Which story Virabhadra is referencing about? Browse other questions tagged shiva puranas .